Jimmy Thackery delivers stunning aural resonance. 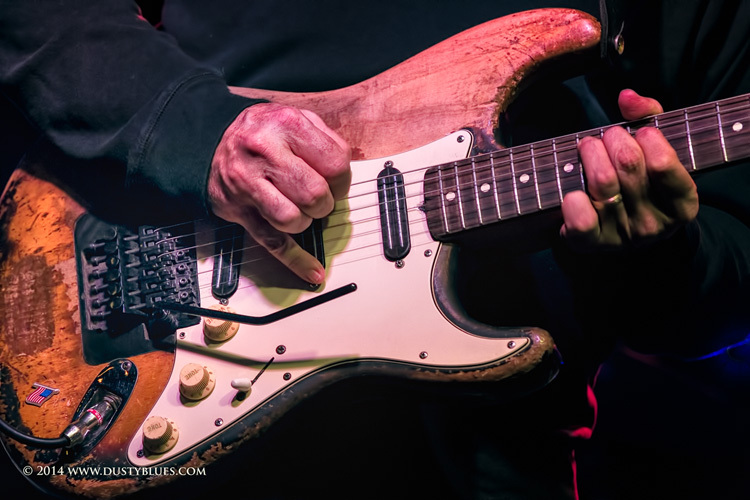 Sean Carney’s Blues For A Cure was born during a phone call Sean had with his friend Dr. Paul McCarthy where they discussed the notion that Blues music can effect positive change in the world. They then discussed how to support that notion by raising money for a charity, paying the artists a reasonable wage, and presenting an awesome showcase of live Blues worthy of festival designation. At the time, Sean’s mother was undergoing chemotherapy for Hodgkin’s Lymphoma. His younger sister and stepmother are cancer survivors and his piano player, John Popovich, is in remission. The charity was clear. Since this inception, concerts and auctions have raised a total of well over $100,0000 for many cancer research, education and screening organizations across Ohio. DustyBlues always enjoys participating in Sean’s cancer benefits as they are for such an excellent cause and each is a showcase of talent rarely seen elsewhere. The performances featured Sean Carney with Guest Billy the Kid and special guests Jan Roll, John Popovich, Chuck Moore, Lenny Fatigati, Ray Fuller, Micah Kesselring, Long Tall Deb and several young and upcoming blues artists from around the state. The show opened with an excellent set by Erica Blinn and the Handsome Machine. After Sean’s amazing set there was an auction of special memorabilia that raised additional funds for the Cure! Headlining the night was the amazing Jimmy Thackery and the Drivers. This was Jimmy’s first show after taking some time off for the winter to work on new material. Jimmy and the band gave a mesmerizing show and were joined at the end by Sean Carney himself for a class act finale to the night! Joining Dusty were talented fellow photographers: JT Lotozo and Steve Mack!! This entry was posted in Performance Art on April 9, 2014 by Dusty Blues.